Think Central is a website where you can access your Go Math! textbooks and fun interactive activities! 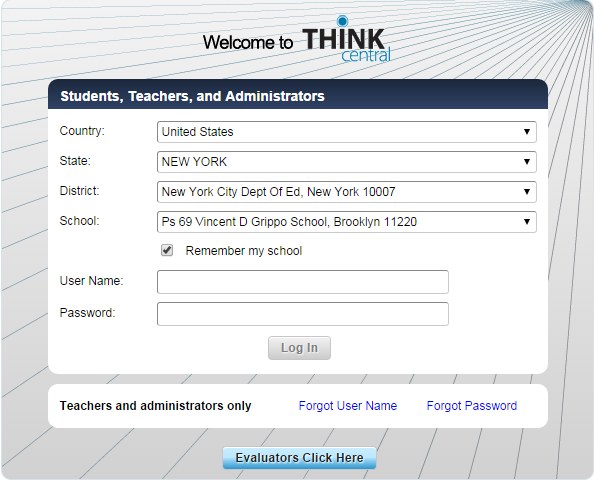 Ask your teacher for your assigned username and password.